Westin's Brute Tool Box Tray features 4 silver aluminum dividers. Product fits specific Brute Tool Boxes (sold separately) and comes with a limited lifetime . Westin's Brute Tool Box Tray size is 19" x 15". 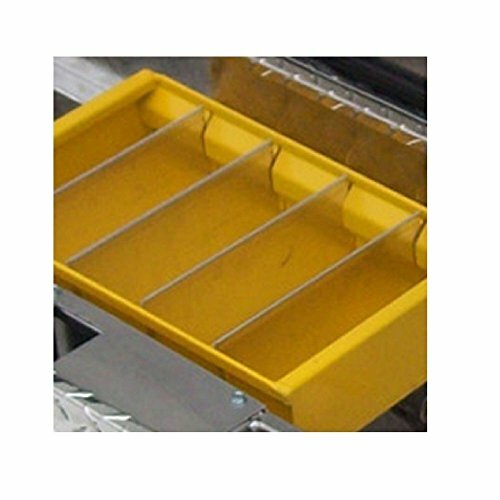 For 9" x 15" tray with 4 silver aluminum dividers. Fits tool boxes 80-RB184, 80-RB174, 80-RB172 and 80-RB164. If you have any questions about this product by Westin, contact us by completing and submitting the form below. If you are looking for a specif part number, please include it with your message.